North and South Korea are planning to compete asa unified team at the Tokyo Olympics in 2020 andare bidding to co-host the 2032 Summer Games. Following inter-Korean sports talks, the rivalnations issued a statement saying they wanted toparticipate jointly in international competition, starting with a combined team at next year's men'shandball world championships in Germany. They will send a letter to the International Olympic Committee (IOC), informing theorganization of the two Koreas' intent to host the Olympics in 14 years' time. In a statement to CNN Sport, IOC president Thomas Bach said the organization welcomesplans for a joint bid. Athletes from North and South Korea marched under a unified flag at the opening ceremonyof the 2018 Winter Olympics in Pyeongchang, and in ice hockey the women competed as aunified team, helping ease tensions on the peninsular. 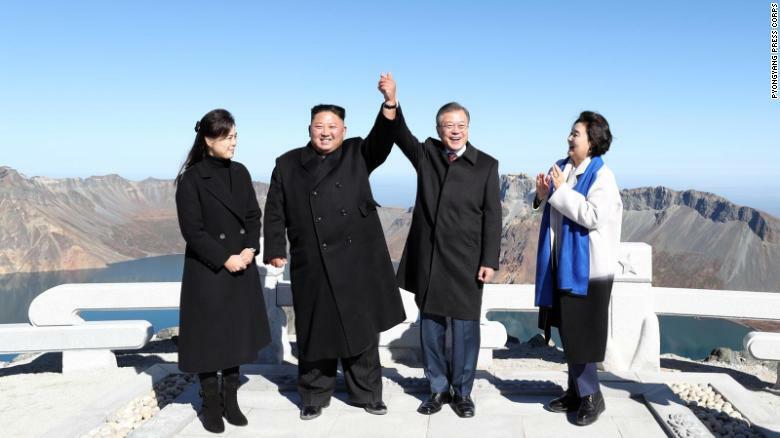 "After we opened the door for political talks with the joint march of the two Korean teams atthe Olympic Winter Games PyeongChang 2018, sport could once more make a contribution topeace on the Korean Peninsula and the world," Bach said. "We sincerely wish that these political talks produce the necessary progress for a successfulcandidature."